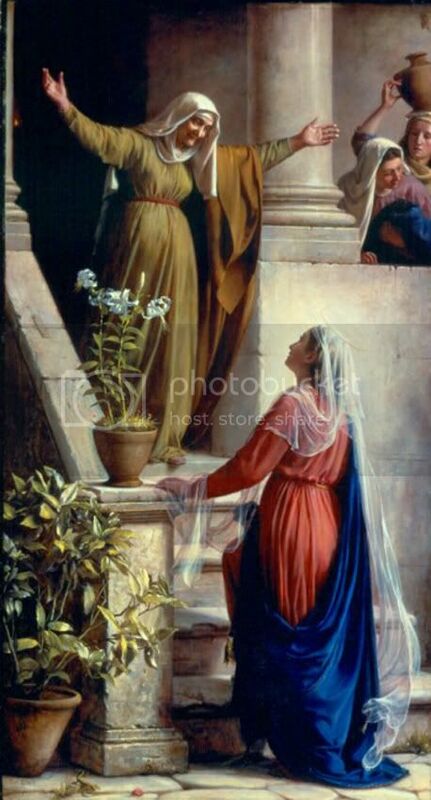 This is my favorite image of the Visitation, painted by Carl Bloch. St. Elizabeth is so joyful and welcoming I just want to hug her myself! And the Blessed Mother's veil is so transparent and light-filled... just like her soul which magnifies the Lord. Today would be a great day to visit a friend, don't you think? I've never seen this picture. I love it! Lord, please grant me Your grace to greet all with arms wide open as St Elizabeth.